Robert Turner's Let's Try Chainsaw Warrior (Winner!) This totally captured the brutal difficulty of the game. When it was released as a solo boardgame in 1987, you didn't want to get it home and complete it on the first run. Hence the game was designed to be hard, damn hard... Robert's run shows that - after extensive preparation for the most dangerous mission of his life he meets one of the most dangerous monsters right at the offset - Meat Machine - and get's chewed up. Classic. Honorable Mention - Scott Grieg's Run #2 Part 2 This was a great run. A tough fought mission (part 1 is here) that shows the brutal and unending waves of enemies the game throws at you. Scott does a sterling job, in the spirit of Chainsaw Warrior, of taking on the challenge and it's hard going, but he's making progress until... the Slime. Dang. 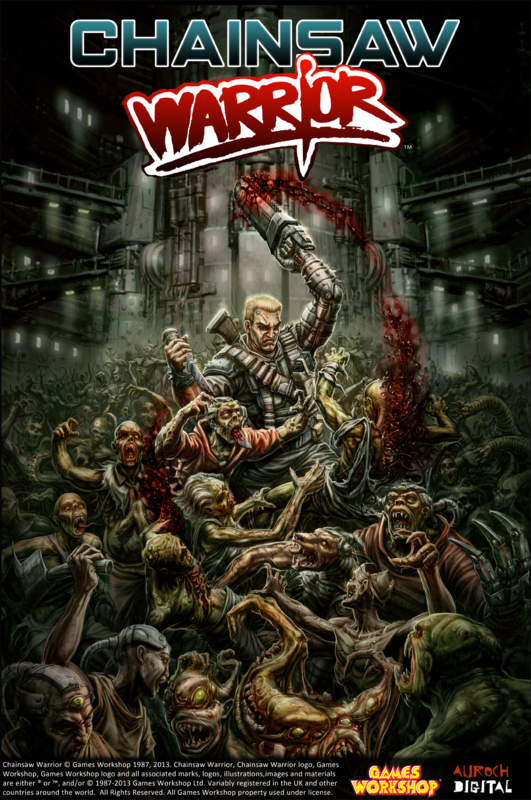 7th October 2013, Bristol, UK: Games Workshop's classic boardgame 'Chainsaw Warrior' launches today on PC via Steam with other PC stores to follow soon. The game was originally released in its physical form back in 1987 and has been recreated as a PC title by Bristol based indie developer, Auroch Digital. The PC version was announced back in July and it caused excitement and nostalgia with fans who fondly remembered playing it and interest in those new to the game. In 'Chainsaw Warrior' the player takes on the role of the eponymous cybernetic soldier as he attempts against all odds, to save New York from dire peril. The city is under threat from the twisted forces spewing forth from a strange spatial rift which has opened up in the heart of New York. This extreme warping power is attempting to rip the city from this reality into its parallel nightmare realm. The Steam version of the game comes with Steam achievements, a new leaderboard system and exclusive Steam trading cards. ‘It’s wonderful to see this great game re-worked for today’s platforms’ said Jon Gillard, GW Head of Licensing ‘I can’t wait to get my pistol grip chainsaw revved up and stuck into some zombies’. 22nd July, 2013, Bristol, UK: The seminal hit board game Chainsaw Warrior, made by Games Workshop back in 1987 is set to return this year in a digital form. The original 80s game was a notable rarity in that it was a solo board game that pitted the player not against others but against the clock. The game saw New York balancing on the precipice of darkness as twisted forces from another reality attempted to rip the city from this world into theirs. Standing between them and the destruction of the city was a lone figure, the brutal and mysterious Chainsaw Warrior. 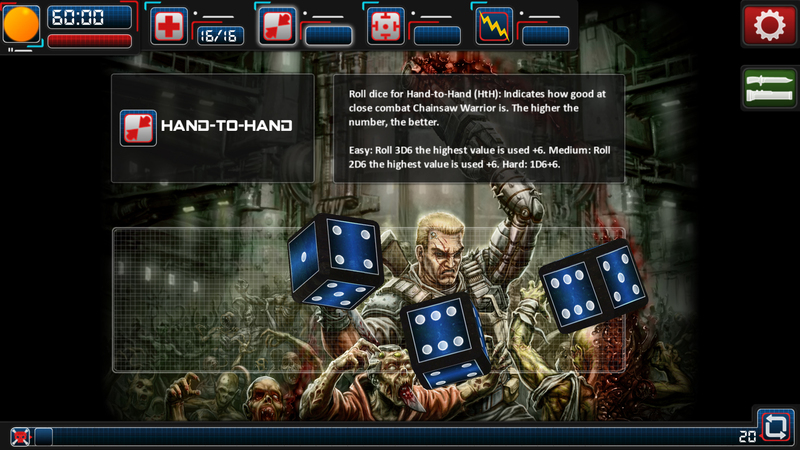 As the eponymous hero, the player had to delve into a zombie infested New York tenement to locate the source of the evil spewing through the spatial rift and destroy it before he was destroyed. The game is being created by Bristol based indie developer Auroch Digital for mobile and desktop platforms. Auroch Digital's Design & Production Director, Tomas Rawlings explained why they are resurrecting this mutant and zombie infested classic; "It's a game I played as a kid and loved. I see it as the pre-cursor of First Person Shooters when video games technology could not really do the first person or the shooting. For me this is not only a great game, but a classic of board game design - a solo shooter that really challenges the player. When we spoke to Games Workshop about developing a game this was the top of my list. I loved the 80s style of the game and we've kept much of that in our design as well as faithfully translating the gameplay. Don't expect to win the game easily. This was the Dark Souls or Super Meat Boy of its day. Players didn't want to buy the game and run out of challenge at first play. The game has many ways to kill you and is unafraid to use them - which makes it all the sweeter when you finally win." Our favourite tweet about the game so far!